The winds of change are in the air. Major League Baseball could be nearing an expansion to 32 teams which would signal a large shift in the baseball world. One of the biggest changes would be dissolving both leagues as baseball would shift to a four-division system. There would be plenty of other changes to make a new system work. Are fans, owners, and players ready for this type of radical change? 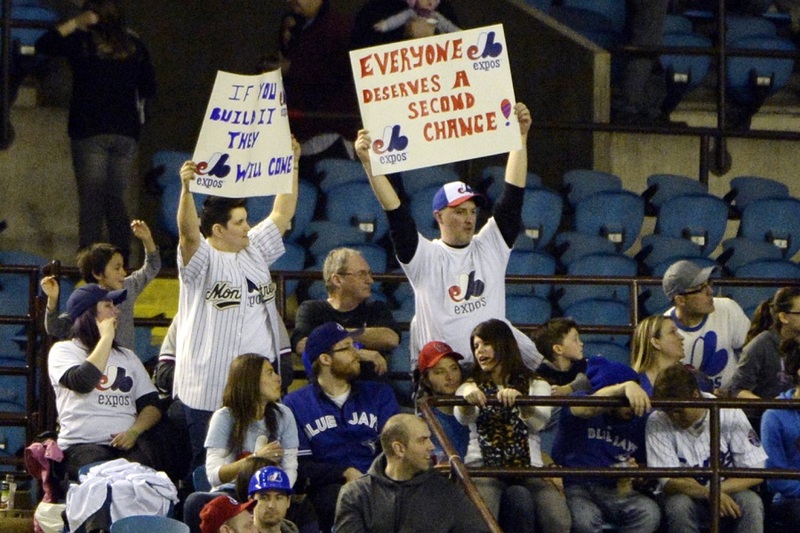 Montreal has been clamoring for a new baseball franchise since the Expos left for Washington. A strong outpouring of fans has started to clamor for a team to return. There would need to be more support for the building of a downtown park. If Canadian fans can push for the building of a new park, Montreal would be a likely destination for an expansion club. Minnesota’s new division would include a mixture of familiar and new. The North Division would likely include Boston, Cleveland, Detroit, Minnesota, Montreal, both New York franchises and Toronto. MLB’s schedule would be reduced to 156-games so the Twins would face each division foe 12 times (six home and six road games. They would also play every other opponent three times. If Minnesota didn’t end up in the North, the Midwest division could also be a likely landing spot. Baseball America predicts the Midwest would include both Chicago franchises, Colorado, Houston, Kansas City, Milwaukee, St. Louis and Texas. Only two teams, the Rockies and the Twins, would be playing out of their time zone. Baseball only recently expanded the playoffs by adding a Wild Card Game. With expansion, the playoffs would change as well. Each of the four division winners would await the winners of four wild card games. Eight other teams with the best records would make the playoffs to square off in a wild card game. Those winners would move to the Division Series then to the Championship Series and the final two would meet for the World Series. With the expanded playoffs, 12 of the 32 franchises would qualify for the postseason. Minnesota saw more fan interest this year while the club fought for a Wild Card spot. This trend could continue for more franchises with even more teams being in the playoff hunt. Baseball is a game based on tradition and I don’t know if fans are ready for this radical of a shift. What are your thoughts or feelings about the possibility of baseball expanding? Leave a COMMENT and start the discussion. Oh okay... and what happens to the DH? Are we really ready to start baseballs holy war? Would prefer 8 4-team divisions, aka NFC North (MIN, MIL, CHI, DET). Wow, read the link and I guess it is. Then again, having two 15-team leagues is problematic, and we all know what a magic number 32 is. There's definitely a way to do this.Wild card games are exciting, but somewhat unsatisfying in that, with baseball, one game is essentially meaningless over the course of a season. Keep AL and NL as much as possible.Give teams a chance to get into the playoffs.The current system of playing Chicago and Detroit 19 games each, Blech! Won't lie...dissapointed Nashville is not being considered. The South does need another team. I WILL NOT root for Atlanta. Cincy is too far north. St. Louis is not really a "Southern" city. Houston and Dallas are Texas. Then there are the Florida teams (give me a break). Here's an idea...ad the additional two teams as mentioned, but also move the Rays to Nashville! Done! If it was me, I'd keep each league as intact as possible.I would have each league with 2 conferences - 2 divisions each, a total of 8 4-team divisions. West: Seattle, Portland, San Francisco, Oakland, Dodgers, Angels, San Diego, Arizona. Northeast: Detroit, Cleveland, Pittsburgh, Philly, Cincinnati, Boston, NYY, NYM. Midwest: Kansas City, St. Louis, Minnesota, Cubs, White Sox, Milwaukee, Toronto, Montreal. South: Colorado, Texas, Houston, Atlanta, Tampa, Miami, Washington, Baltimore. The minute we started interleague play baseball has been moving towards this. I’m assuming DH for all and doing away with the National and American Leagues. I don’t like it. I say add a team to each league, have 4 divisions of 4 teams and do away with interleague play and return to how it was and quit messing with it. And align teams to keep them in the leagues they are in already but create the extra division. If Montreal is the team in the mix, put them in the East Division and move the Nats to the South Division. As for playoffs not sure how I’d work it. No WC game. Four division winners play a best of 5, then best of 7 for league championship, then onto WS. If the goal is to expand the playoffs then the top 2 of each division play a best of 3 series. Baseball had about a 10 billion dollar revenue stream. Dropping 6 games would be a 3.7% drop in revenue, about 370 million. I do not think that mlb would save that much in travel costs, I doubt players will want to give up their per game income. A home and home series against a rotating team would likely be added to keep up the revenue. Dropping 6 games, but also adding 2 teams results in a net gain, not loss. I like that there is no DH in the NL, and I don't like that it appears it will quickly and easily go away. I like that they may go to 156 games and that the season may end a bit earlier than currently. I like Portland. It's a neat city. I've never been to Montreal. This has been things I like and don't like. See you next time. Expansion to 32 is ok, but why not keep the structure we have had? Hmm ... I have mixed feelings about this idea. I'm not totally against the idea of expansion and adding two teams. But I hate the thought of not having separate leagues, the traditional AL and NL, and personally, I'd prefer to do away with inter-league play too. Not a fan of that. I also wouldn't want the other leagues --or divisions of whatever they are going to call the new alignment --- to have to adopt the DH either. Call me a traditionalist, but I still like the "old" idea of having the pitcher having to hit ... at least in one league. But a new Southern team like Memphis or Nashville would be pretty cool. As far as the DH rule. I've always thought it would be fun to have home team choose DH or not. Makes the rule same for every team and brings in a bit of strategy as well. I hope the AL and NL can be retained, but expansion to 32 teams sounds OK.Two square 16 team leagues would seem welcome for scheduling.ScottyB has a nice scheduling plan laid out above. Of course, I would like to see KC and the White Sox stick with the Twins, but I guess you can't have everything.I'm not sure what I would think of being in a division with both New York teams and the Red Sox. I don't quite understand where the Baseball America article is getting all of the information for this proposal. I don't see anything on mlb.com other than the article about Portland desiring a baseball team. If it expands, what is the best divisional alignment? Given a new divisional alignment, how best should the playoffs be handled? How many games should teams play in division vs out of division? Should the number of games played change? I love the idea of expanding to 32 teams, but I don't like the idea of getting rid of the AL/NL split, or 4 division winners and 8 wild cards, and I don't see any reason why expanding to 32 teams means you have to get rid of leagues, have 4 divisions, or reduce the number of games. Realigning divisions, more than a minor tweak here or there, is always a bad idea to me. But the revenue has to be split 32 ways instead of 30. Nashville would be a good option along with Charlotte, Raleigh, even Oklahoma City.They need more teams in the south and central US.Move the Rays out of Florida and if the A's can't secure a new stadium move them as well. 8 divisions>>>>>>>>>>>>>>>>>>4 divisions. It's probably more > than that, but I was too lazy to hit enter 100000000x. And, I don't think for a minute Portland is a good idea. Not enough big businesses to buy up the boxes and season tickets. don't forget, more playoff games=more league revenue. Also, more revenue from hats, jerseys, etc. due to 2 more teams. But, I think your point, overall, has merit. Imagine trying to convince a FA to move to OK City. Even the NBA, with all its money, struggles with that. I would guess there is expansion of two teams, a change to 4 divisions of 4 teams, no change to basic league structure/rules and the same number of games. 32 is a better number, no question. But I wonder if expansion creates more problems than it solves. There is such a dearth of quality pitching already, and would be made that much worse with expansion. Further, the revenue imbalance persists and would, I propose, continue with 32 teams. Would any of the proposed markets prove viable long term financially through fan support and various radio and cable packages? Or would they be adding a pair of bottom market teams that perpetually struggle to compete, much like a few of the more recent NBA franchises? I know it still comes down to ownership and the running of a team properly from top to bottom, but the means to acquire players, and keep them, is still heavily weighted at the top of MLB and I don't see a solution coming any time soon. If it happens, keep both leagues, keep them as intact as possible, and have even divisions in both leagues. 32 teams is great from a scheduling and division alignment perspective. But it seems to me it would just further water down a sport that already doesn't have enough good players to field more than a 5-6 truly competitive teams at a time (and maybe another 5-6 borderline wildcard teams). Of course, that's true in every sport but it bothers me in the NFL and NBA as well. I know it's unrealistic but things would get really interesting if the talent were concentrated into 16 or 24 teams instead of 32. Maybe a relegation/promotion system to push the worst 16 teams into their own division? That would help take care of tanking as well, although I suppose then this wild Twins season wouldn't have happened. Oh well, in the end the bottom dollar always wins out. You hit the nail right on the head, Doc. It's already a problem identifying good pitching and keeping them healthy between 30 teams as us Twins fans know. I could only imagine the AAAA fodder that we'll see with 2 new teams in the league. If anything, I think they should relocate some existing teams to different cities, and keep the number at 30 teams. Move a low revenue team such as the Tampa Rays to Nashville, North Carolina, etc.